Are you looking for specialized or customizable keyboard instruction using the iPad for students with physical or cognitive/learning disabilities? 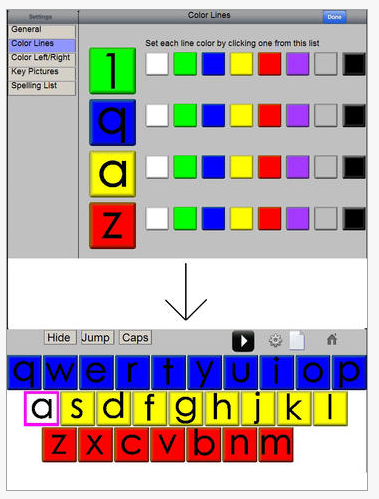 Miss Sue’s Keyboarding Fun© provides several keyboarding app choices with options to customize the sounds, colors, picture supports, word lists and layout within the app. Her apps span training skills from basic keyboard and letter awareness, spelling reinforcement of high frequency words and beginning keyboard awareness and practice. Significant customization of the words, pictures, layout, colors and speech are offered within the apps allowing creation of individual activities for users. Keyboard Explore app (iPad; free ) – When a key on the keyboard is pressed, a fun picture is shown and a sound for the letter is spoken. 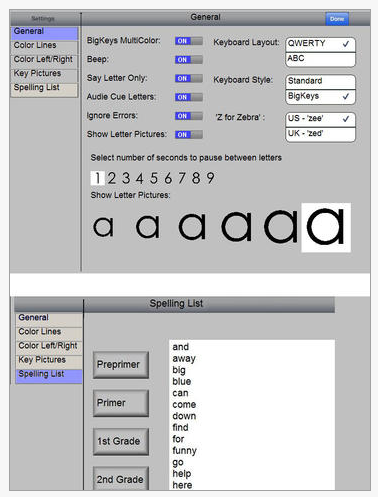 Type A Word app (full and lite version for iPad; 2.99 ) – Allows creation of spelling words for students to type. Each letter must be matched for successful completion. Full version includes data collection and customizable key colors. Keyboard Fun app – (iPad; 4.99 ) – Encourages identification of key placement by matching keys to pictures. Keys on each line is displayed. Data collection and key coloring provided in app. If you are in need of keyboarding apps with customizable features, Miss Sue’s Keyboarding apps provides wonderful options. Computer based software is also available from Miss Sue’s Keyboarding website at OT-Care.com along with lesson plans and other keyboarding resources for individuals with disabilities. Big Bluetooth from RJ Cooper (199. 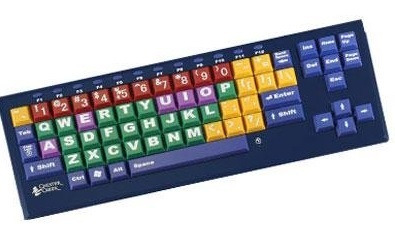 ): Provides additional keyboard options that allow use of function keys. Great options for customizing access for individuals with disabilities with these apps and input methods. This entry was posted in Accessibility, Accessories, Apps for OT's, Apps for Special Needs, Customizable app, iPad, Keyboard, Keyboarding, Occupational Therapy, Writing. Bookmark the permalink.